From Bruce Bickel and Stan Jantz, authors of Knowing the Bible 101, a trim, 45-page booklet is perfect for new believers, Christians who want a handy evangelistic tool, and churchgoers who are ready to rediscover the essentials of the Christian life. 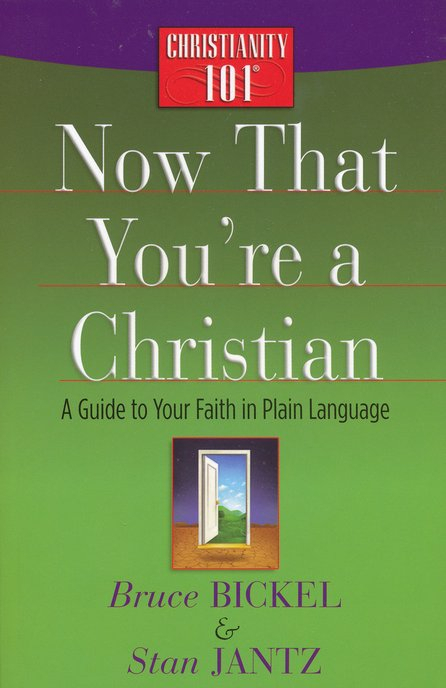 Readers will immediately connect with Bruce and Stan''s honest, encouraging responses to questions new Christians often ask: What do I do next? Am I expected to follow some rules and regulations? What have I gotten myself into? Brief chapters on eternal security, new life in Christ, and the ministry of the Holy Spirit set the tone for this clear and compelling introduction to the faith. With their engaging, straightforward style, Bruce and Stan explain what God has done for humanity, what God wants people to do so they can know Him better, and how individuals can reflect the love of Christ to the world.